It was a typical day, back when high schools still had teacher cafeterias. The teachers sat and chatted about what they had done the previous weekends, what they planned to do on upcoming weekends, and there was the usual amount of shop talk. After all, you never know what teenagers are going to do, they almost always do it anyway, and once it's done, how can you not comment on it. Everything was pretty much normal until Ms. Abromowitz saw it. She was without a comment, and that was unusual for Ms. Abromowitz. But Ms. Gonzalez, in the next seat, who was usually quiet, knew exactly what to say. This caused a panic amongst the staff. In a school like this, where most expected the unexpected, this was unusual. Yet teachers of both sexes became panicked. There was much screaming, and there were those who actually jumped on chairs so as not to be on the same level as the offending rodent. After what seemed like a long time, but what was likely not more than a minute or two, the uninvited guest disappeared. To where, no one knew. But after a few minutes, the hysteria died down. 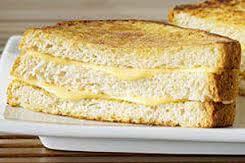 Teachers resumed their conversations and continued to purchase the then ubiquitous double-decker grilled cheese sandwiches on white. Everything had gone back to normal. Then shots rang out. People listened, then went back to those double decker sandwiches. Then one of the cooks made a rare exit from the kitchen, with a bloodied but extent rat held by the tail between his fingers. "This one won't be bothering you no more," said he, and more than one double-decker grilled cheese sandwich hit the garbage can unfinished that day. It Could Always Have Been Worse!